Victorian School Holiday Sessions – Please see the School Holiday timetable. 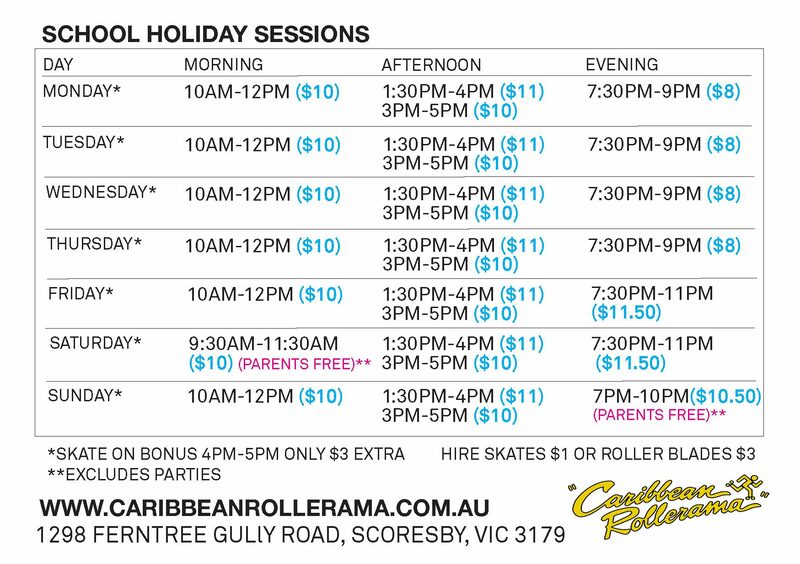 Spend Easter at Caribbean Rollerama. Open Easter Saturday, Sunday and Monday. Closed Good Friday. See flyer for details on sessions times and prices. Check the school holiday timetable too!